How to keep your Vuly trampoline at its best. A trampoline is an investment in the health and happiness of your family. You want to keep that investment a hassle-free source of family fun for years to come. Like a premium car, a Vuly trampoline requires little maintenance, but you wouldn’t go without washing that car or changing the oil! 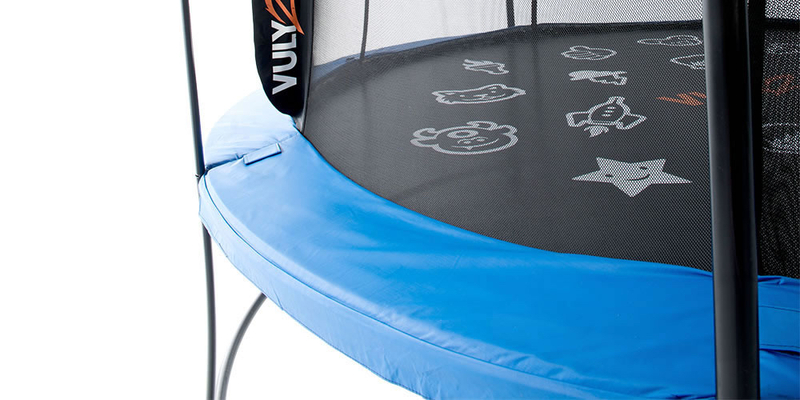 While our advances in design and technology mean that a Vuly will last far longer than any competitor trampoline, there are still a few things you can do to ensure that you get the maximum life, performance and appearance from your Classic, Vuly2 or Thunder. Inspect your frame every 6 months for rust. The frames of all our trampolines are galvanised on both the inside and outside, and our Thunder and Vuly2 are powder-coated, to prevent the steel frames from oxidising. You may, however, still find some surface rust where the metal components join together. Use general-purpose grease on these areas to prevent rusting, or easily remove any rust you find by using a rust-specific cleaning agent, and a durable cloth. 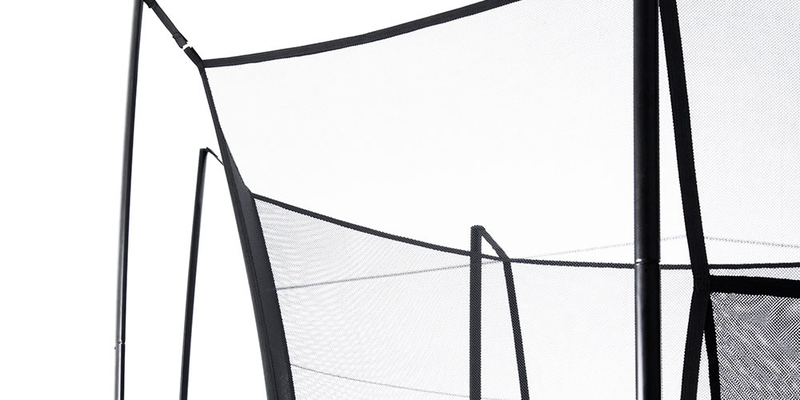 Avoid scrubbing your trampoline with harsh products or steel wool; they may prematurely wear the frame. Clean your trampoline mat with a soft, damp sponge. Avoid using soaps or detergents; they may prematurely wear the HexVex Game Mat. Remember to use a dry cloth to wipe away any moisture left on the mat after you have cleaned it, or after it has rained. If you leave the mat to dry in the sun, it may become discoloured and unevenly marked. Although the netting on every Vuly is UV resistant, extended exposure to direct sunlight can shorten the lifespan of the Silk Terylene material. If you won’t be using the trampoline for over a month—during the rainy season, for example—remove the safety netting and poles, and store them in a cool, dry and dark place. If yours is a Vuly2 or Classic, and you notice creaking when you jump, apply some lubricant—like WD-40—to the springs and metal connections. You should also regularly reverse your safety pads. They will last longer and keep their vibrant appearance if both sides share in the burden of the weather and UV light. When you do so, tip out any collected water inside the safety pads, and dry them with a cloth. Sitting water will grow mould and degrade the safety pads and springs. Remember to keep in mind the expected life of your trampoline’s components. 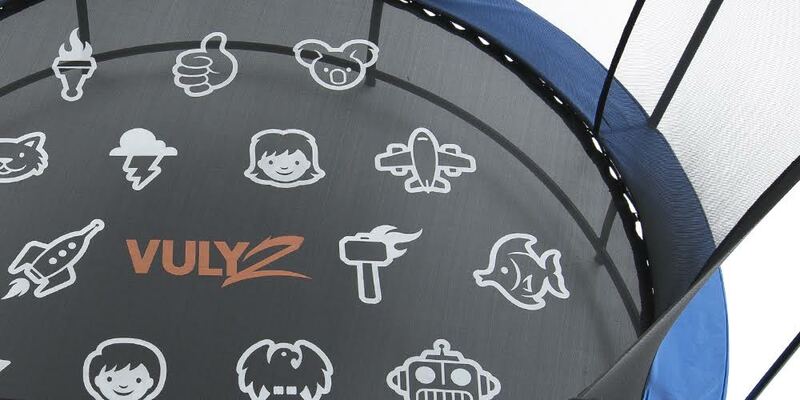 With proper care, every part of a Vuly trampoline will last longer than our competitors. We guarantee our products with unbeatable warranties, and with our unique half price parts for life promise. Inspect your Vuly often using the checklist that came with your assembly instructions, or download a new one. Get in contact with us if you feel as though something isn’t right; we’re always happy to help!